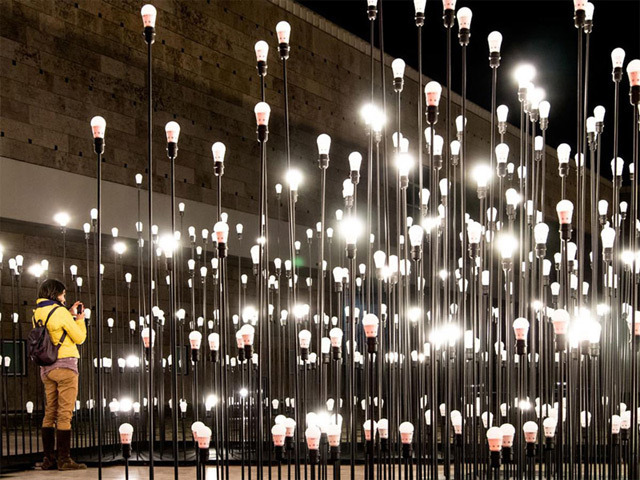 This LED lightbulb installation is the work of the group Like Architects. 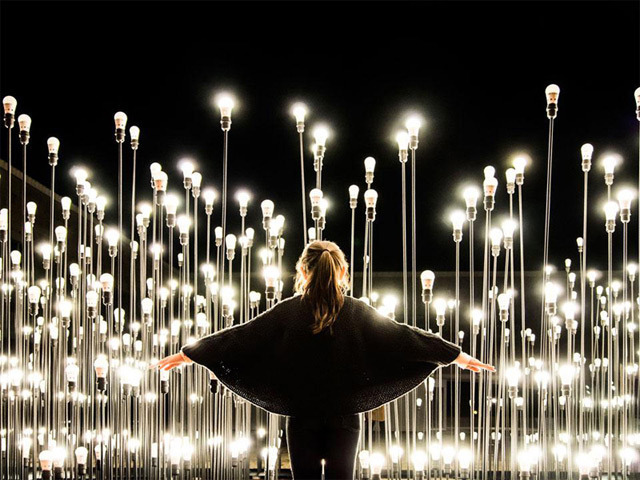 The design collective teamed up with Ikea for this show of lights in Lisbon, Portugal. 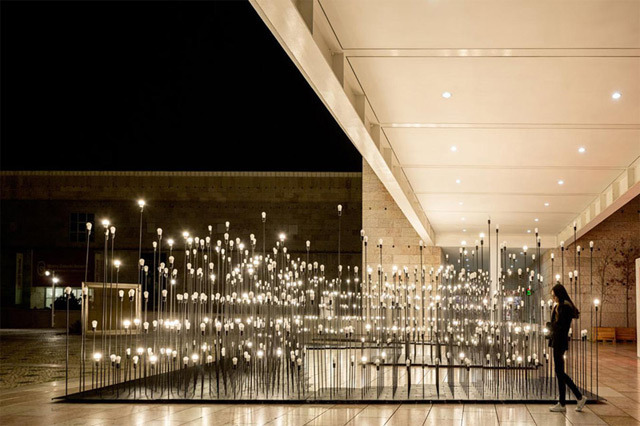 This intricate display of lights is called LEDscape. At night, the lamps are lit gradually, pulsing in different rhythms. 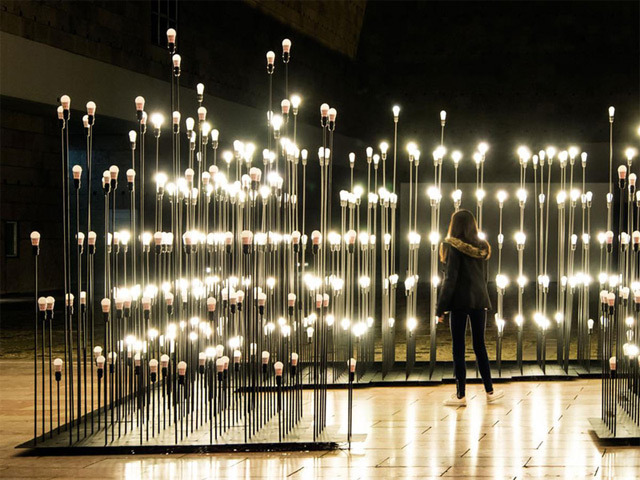 The light shapes the space differently every few minutes, coaxing users in a game where their perception and awareness of the space — and the installation — constantly changes. The latest installation from Aether & Hemera in London’s Canary Wharf is this fleet of 300 illuminated boats called Voyage. Each floating light resembles an origami boat light from within. Voyage will be up through February 15th, 2013, and viewing is best at night.